If y’all haven’t been keeping up with the blog post, more specifically the comments associated with it, you guys are missing a treat. There’s a guy, Joel Hunter, on there that is advocating the one and only TRULY consistent and literal understanding of the Bible – GEOCENTRISM! He IS being sarcastic, though you wouldn’t know that if you didn’t already know the guy. He is putting forward a completely serious advocacy for geocentrism and is railing against those who compromise the Bible for the sake of science by accepting the Copernican lie. Those YEC people claim to believe the Bible, but they have horribly mangled the basic statements of the Bible in their desire to compromise with “science” by accepting the “science” that purports to claim Earth isn’t the center of the solar system and universe as the Bible so clearly states. He does his sarcasm so sincerely and so very well that he has gotten a few people to take him seriously. It’s pretty good comedic fodder! Thanks. I saw that too and wasn’t sure where he was coming from. Unfortunately, there really are “Biblical geocentrists” out there. Nowadays Young Earth Creationism Uber Alles IS the Gospel. This guy Christ (who’s supposed to have something to do with the Gospel, right?) got thrown under the YEC bus long ago. P.S. There are even “Flat Earthers” out there, Heroically Defending SCRIPTURE (TM) Against Godless “Science” since Victorian time. This type of stuff is really frustrating for me in the small PCA church I attend. I try my best to bite my tongue when I hear the AIG people and Ken Ham praised to the skies and Hugh Ross labeled as an idiot, or worse. My pastor is even insistent that the Westminster Confessions teach YEC–it does NOT, as Scott Clark points out in his excellent book, “Recovering the Reformed Confessions.” I guess it amazes me that we actually have ANY mathematicians (like Vern Poythress) and scientists in our churches with the pervasive attitude of YEC-types. I attended Covenant Seminary (PCA) in St. Louis part-time for a year. Dr. John Collins, professor of OT, is an old-Earther. I’m sure he has taken a good amount of criticism for this, but he is highly respected. —Science and Faith: Friends or Foes? Kevin–thanks for the info. I’d like to check out the Covenant Seminary web site as well to see if there are any downloadable lectures from Dr. Collins. The usual argument I get is that people like Ross approach the Bible laden with their scientific presuppositions, which interfers with sola Scriptura. This is supposed to have blinded people liek B.B. Warfield, as well. Covenant Seminary has a number of its courses available as iTunes podcasts, but unfortunately I don’t see anything by Collins. I tend to be quite sympathetic to the position that the same standards which require the Bible to speak of a 6000 year old Earth also require a geocentric position. However, it’s not a slam dunk. The statements of the earth being central were strictly common-use, descriptive phrases, not intended to be taken as scientific statements. After all, we still today talk of a sunrise and sunset even though we know it’s not the sun that is moving. Some of the references are also very obviously poetic and metaphoric, whereas Genesis 1 is not poetic or metaphoric. 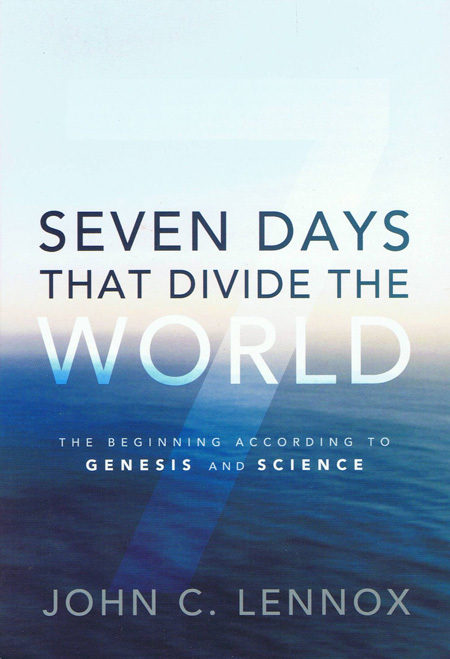 The geocentric verses are descriptions of what the author saw, not scientific descriptions, and the same general principle holds true for Genesis 1, an accurate description of what would have been seen – a Creation that lasted for six, 24-hour days. While I tend to think that there are holes and incorrect statements in that explanation, it’s not a completely stupid explanation. I appreciate the humor of what Joel Hunter said, but I certainly don’t think it’s of any efficacy in changing anyone’s mind. To the YEC person, there is a perfectly good reason to reject geocentrism but still hold to a YEC. They view the “then-why-aren’t-you-a-geocentist” argument to be punching at a straw man. I think that “straw man” has a living body, but that’s part of the argument. (Geo, if you don’t want quite so many discussion being like “Hey, go to this other blog,” just email me or something, and I’ll cut it back. I clicked on this article because it looked interesting, but having read it I am left frankly baffled and amazed! But Geo, you don’t believe in evolution either (meaning biological evolution unless I say otherwise). So how would your approach with her, had you been there, have resulted in any other conclusion for her? Given this, why are you citing this case history? Hang on a minute – as far as the reader is concerned, all this is just WM’s imagination. Does he have any objective evidence for any of this? If so, why not cite it? Until this is cleared up, I don’t know how to take this seriously. – but who go on believing in evolution at every level of the universe! Christianity isn’t deism. Astrophysics can’t convert anyone. Neither do YECs – we go out of our way to specify what science can and can’t tell us. One thing it can’t tell us is unobserved origins, which we can never know unless God deign to tell us – which he has. Again, Geo – why are you as a creationist citing this? If Niki were to be told this she should equally be told that in that case, Roman so-called Catholics now hold a doctrine of creation which not a single Catholic Father believed! But have no coherent, consistent, cogent Biblical argument why not, and in point of fact do it for extra-biblical reasons (as Geo himself freely admits). Again, Geo, I don’t see what purpose this point about evolution serves in your article. So does this mean that Geo too is part of the problem? How do YEC and OEC teachings on biological evolution differ? Are they both wrong, and so are OECs also guilty of driving people away needlessly? Fact is, our first duty in evangelism is to be faithful to the Word, not to fret about why some people might be walking away. Results are God’s. Sure I am that Paul would never have regarded one smallish class of people (scientists) as of far more worth evangelistically than any other (cf. 1 Cor. 1:26 ff.). Dan: Internet Monk and WebMonk are two different people. You should not be baffled. You already know that I think AiG/ICR/Dr. 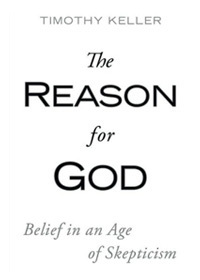 Dino young-Earth creationism is bad apologetics and gives many non-believers an easy excuse to reject Christianity. Your befuddlement seems to be the assumption that by describing myself as an old-Earth creationist, I am an anti-evolutionist like Hugh Ross. The fact of the matter is that I am non-committal on the issue of biological evolution, as the Bible itself does not place a limit on biological change. If God used evolution as a major part of his creative process, then so be it. “And God said, “Let the earth sprout vegetation.” “And God said, “Let the waters swarm with swarms of living creatures.” “And God said, “Let the earth bring forth living creatures according to their kinds.” (Gen 1:11,20,24 ESV). Each of these verses implies God-ordained process. –Animals reproduce after their kind — I think it is a bit of a stretch to say that this phrase excludes biological evolution, and the current trend is for YECs to advocate hyper-rapid evolution after the flood anyways. Are there limits to biological change? Perhaps, but the Bible does not state what they are. I am content to leave the degree to which God used evolution to build biological diversity as a scientific question rather than a theological question. –No death before the fall — I have stated my thoughts on this elsewhere. In regards to evidence for a Creator from astrophysics, you said “Christianity isn’t deism. Astrophysics can’t convert anyone.” That is correct; but that does not mean that we should ignore evidence from astrophysics. The creation can point us to the Creator (as in Ps 19 or Rom 1), but it cannot point us to the Gospel. That is the role of Scripture. Thank you for posting this. I agree that when we treat a YEC view as an “Essential” (which, sadly, many YEC’s do) we are distorting the gospel and putting up unnecessary roadblocks in the way of people coming to faith. What’s even more frustrating is how YEC’s treat OEC’s act as if we are heretics, when we affirm all the essentials. Thanks for putting me straight re. my confusion of two different posters, and re. your own position on biological evolution. I understand the distinction between your position and Hugh Ross’s, and accept that it means that he might regards bio. evo. as incompatible with Scripture while you wouldn’t insist on saying that. And as a matter of fact, for what it’s worth, I too doubt whether the words of Gen. 1 can really be pressed to rule out significant bio. change over time, *given* enough time, which of course is another issue as we know. I’m surprised you think YECs have only two Scriptural reasons against bio. evo. – I’d have thought the most obvious one was the time limit. They do generally use the first argument you mention, but I personally don’t place much weight on it. On the other hand the no-death-before-the-Fall argument is theologically serious and as you say is dealt with elsewhere. There are other arguments too though, e.g. 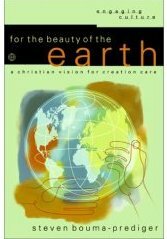 that all old-earth views end up confusing God’s works of creation and providence, cf. Gen. 2:2-3, Heb. 4:3. And that spending ages doing something one could do much quicker is hardly conducive to manifesting one’s glory which is God’s overarching aim in his acts in history. Meanwhile, a search shows that you have so far made no comment on the 14-theologian symposium “Coming to Grips with Genesis” although it came out over two years ago (before Snelling’s work which you’ve noted). 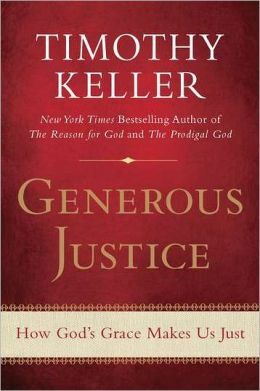 It covers every conceivable relevant theological aspect. 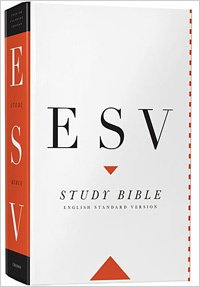 Please note that until you get to grips with this volume of essays, your repeated claims that the Bible allows a very old earth will appear ungrounded and naive. Also, it being now over two years since you referred to Snelling’s work, I’d have hoped for a review by now? Yes, the years go by quickly, and it has been a while since I wrote much about Snelling’s work. His arguments haven’t changed since then. I would like to dig deeper into his Earth’s Catastrophic Past here on The GeoChristian, but not sure when I’ll be able to get to it. 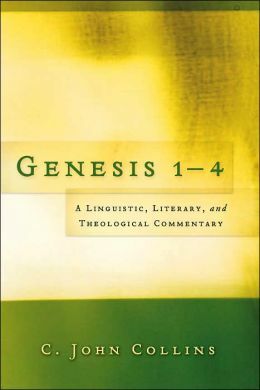 I have paged through Coming to Grips with Genesis, but haven’t read it. The arguments there don’t look like they are new, and so I don’t think I am either ungrounded or naive in regards to the arguments of young-Earth creationism. 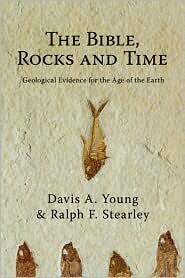 Young Earth creationists over-read the Scriptures in the past, and it looks like they do it in this book as well. (By over-reading, I mean going beyond what is written; adding things or assuming things that are not stated).